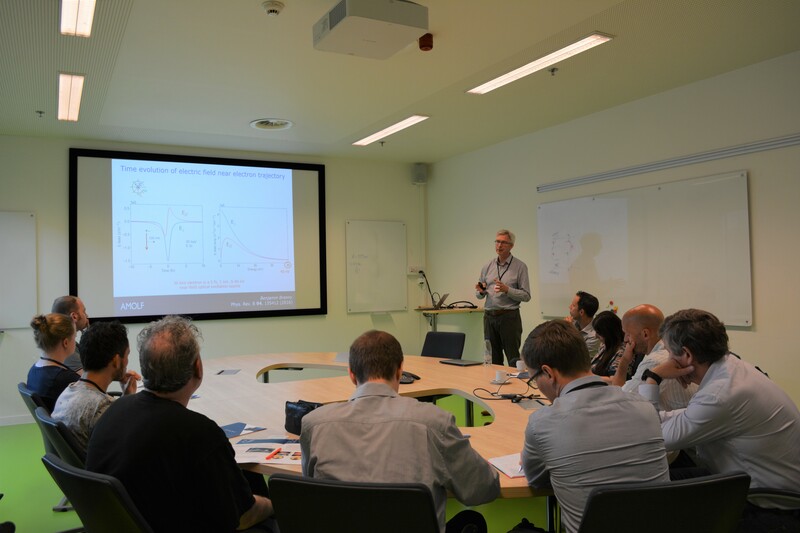 On 31st of May Delmic together with AMOLF Institute in Amsterdam held the workshop “Cathodoluminescence for nanophotonics”, which gathered participants from the Netherlands, Germany, Switzerland, UK and Ireland. The workshop focused on cathodoluminescence imaging, the SPARC cathodoluminescence detector and various possibilities for the research in the fields of photonics and nanoplasmonics. 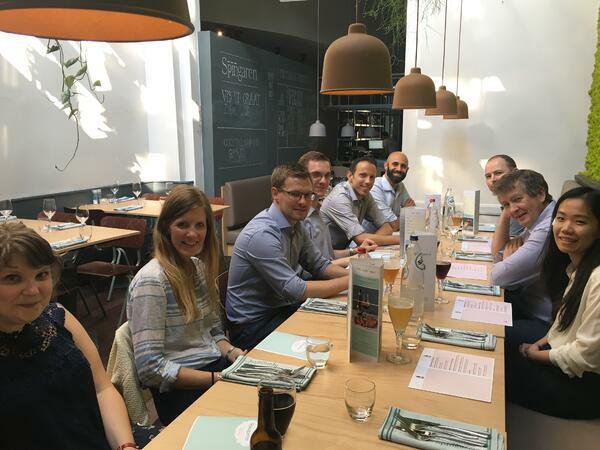 In the evening the participants and the speakers enjoyed a dinner in the center of Amsterdam. The workshop started with an opening about Delmic and the latest news about the company. Toon Coenen, Delmic’s application specialist, gave a talk about cathodoluminescence and introduced the SPARC system, as well as the research that has been done by the SPARC users. Professor Albert Polman, a scientific group leader at the FOM Institute AMOLF and also the co-founder of Delmic, gave a talk about AMOLF and the latest research that has been done in the field of nanophotonics. Ruggero Verre, who was invited from Chalmers University of Technology in Sweden, is a long-time user of the SPARC system. In his talk he presented the research that has been done with the SPARC system for nanophotonics structures and nanoplasmonics. 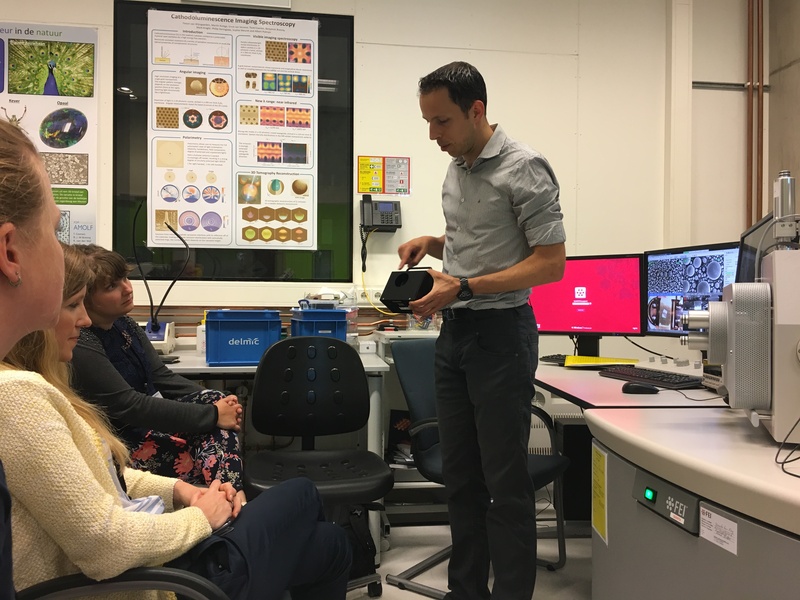 The workshop continued with the tour around AMOLF, during which the participants had a chance to visit photonic forces lab, resonant nanophotonics lab, nanoscale solar cells lab and photonic materials lab. While one part of the group was taking the tour, another half had a demonstration of the SPARC system by Toon Coenen, who explained in details how the system performs and showed the workflow. "I thoroughly appreciated all three excellent presentations in the morning as well as the open and pleasant atmosphere at AMOLF. It was a unique opportunity to meet some of the leading experts in the field". 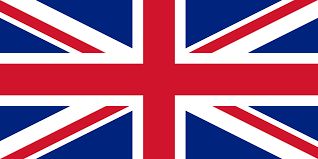 "The entire workshop was very helpful as the stay gave a very good overview of the current state of research. The lectures were very good as it provided a general overview of Delmic, the AMOLF and the SPARC system. <…> The special thing about this meeting was that so many researchers with very different backgrounds have come together". If you would like to know first about the upcoming events organized by Delmic, please subscribe in the form below.